What do I need to know about reckless driving laws in Maryland? In Maryland, reckless driving is a criminal offense. If you happen to commit this crime, then you are willfully or maliciously driving in a way that shows that you have no regard for people or property. This is in Maryland one of the few examples of reckless driving. The legal definition might be difficult to understand, a good example of reckless driving is when the speed of your vehicle is too fast for the conditions of the road. Speeding is considered to be a form of reckless driving because not only are you putting your passenger’s lives at risk, but also the lives of innocent people around you. Other examples of reckless driving include going twenty miles or more over the posted speed limit, drunk driving, failing to yield to traffic, driving on the shoulder, or passing another vehicle at a railroad crossing. Tailgating (driving too close to another vehicle), making illegal lane changes or turns, and disobeying traffic signs or signals is another form of reckless driving. Failing to turn your headlights on at night or during inclement weather is also reckless driving and can result in a bad accident. Negligent driving is another traffic offense in the state of Maryland. It is considered to be a “lesser-known offense” of reckless driving. According to a Maryland code, negligent driving is when you operate a vehicle in a careless fashion. If you drive negligently, you are also putting property and the lives of others at risk. The difference between reckless driving and negligent driving is a matter of degree. The line that separates these two crimes is not always a clear one. However, the fee for negligent driving without appearing before a judge is $140.00 and the largest fine a judge can impose is $500.00. You can obtain three points on your driving record for negligent driving instead of the six that can be imposed for reckless driving. 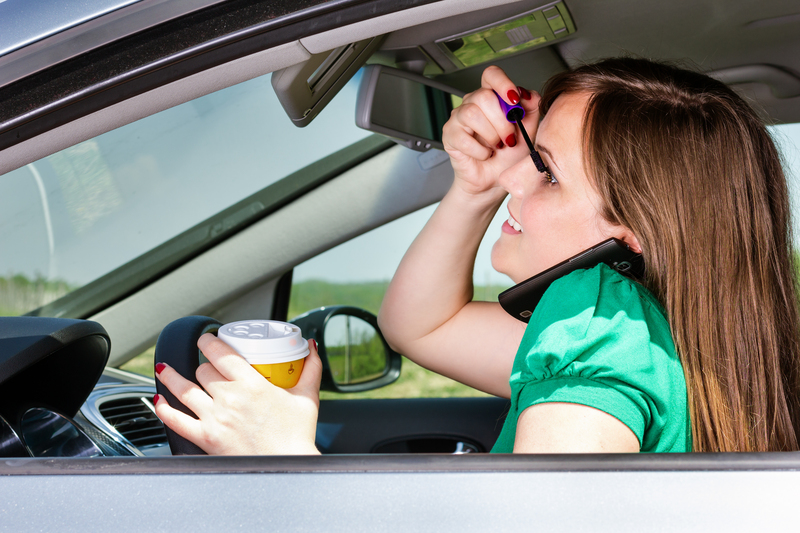 Distracted driving is another type of reckless driving and is a leading cause of fatal accidents. 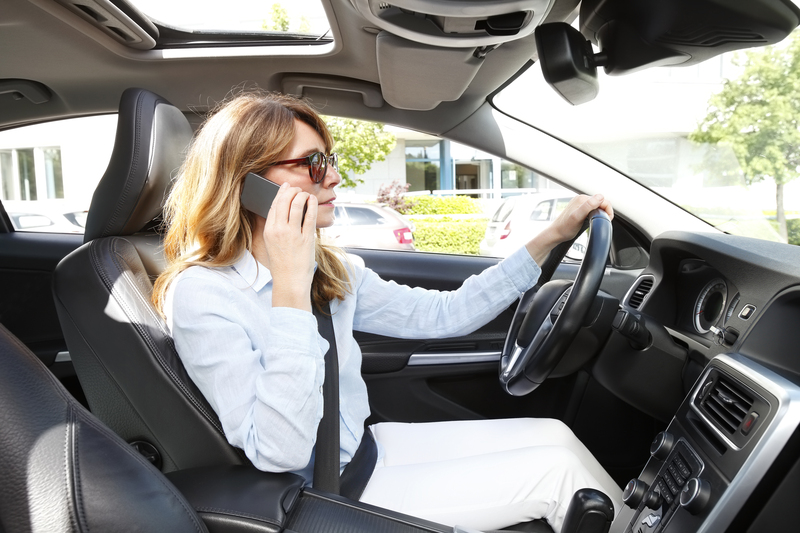 Some forms of distracted driving could be as follows: when one is talking or texting on their cell phone, using onboard entertainment systems, listening to their navigation system, or even having rowdy friends in a vehicle. All of these can take attention away from the road. In Maryland, reckless driving is a misdemeanor. If you choose to pay the fine without going to court, the fine is $510.00. Drivers that choose to appear before a judge may get the fine lowered, or the judge can raise it up to $1000.00. Depending on how serious the accident is, you could be charged with vehicular homicide or involuntary manslaughter, which can result in losing your driver’s license or getting a prison sentence. Along with criminal charges, the injured party can sue for medical expenses, pain and suffering, and lost wages. Your insurance company can increase the amount of your premium and you will have a criminal record. This may affect your ability to find employment. Many insurance companies refuse to insure drivers that have a reckless driving conviction. If they do decide to cover you, your insurance premium could be significantly more than average insurance rates. Reckless driving will also add six points to your driving record. If you get eight or more points in a period of two or more years, your driving privileges will be suspended. You may think that you can defend yourself in court. However, an experienced Maryland attorney can improve your odds of a favorable outcome. If you are facing serious criminal charges such as reckless driving in the state of Maryland, you should contact The Silber Law Group. The Silber Law Group will tailor your best defense. Mr. Silber has been a lawyer for almost a quarter of a century. He has also volunteered his time in both the Montgomery and Prince George’s county state’s attorney’s offices. He founded the Silber Law Group in 2006. He is an elite and experienced officer of the court that has spent most of his career representing people accused of criminal and traffic violations. The Silber Law Group will provide you the best defense possible if you are charged with reckless driving. Contact the Silber Law Group today.